New energy experiment on relations between physical constants. Interpretation of experiments with energy and known natural phenomena. 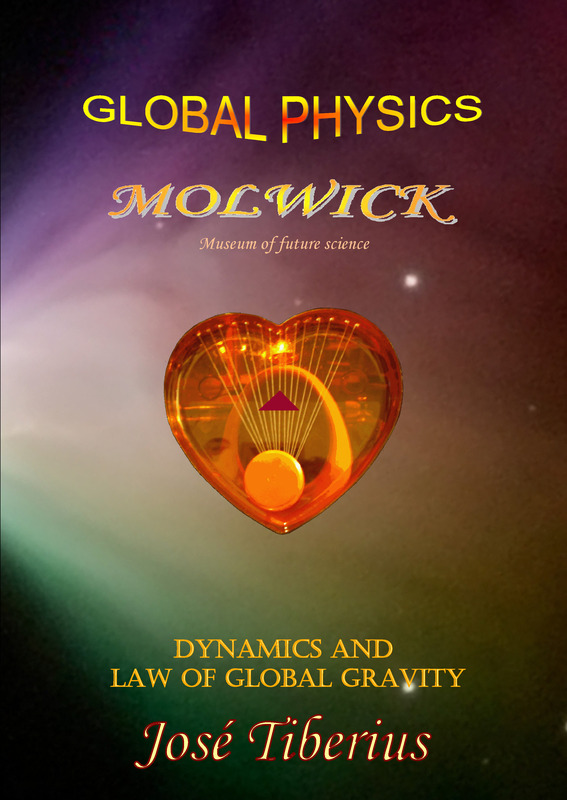 Besides the book Global Physics Experiments with mandatory experiments regarding the new theory, we include in this section the energy experiments directly connected to the Law of Global Gravity. Of course, some are new experiments on energy, and others already known natural experiments or phenomena. However, we propose alternative interpretations to General Relativity or Quantum Mechanics, with interpretations made under a strict epistemological application of scientific method. The few energy and gravity experiments –no thought experiments–, which confirm General Relativity, such as atomic clocks and the Michelson-Morley experiment, they also lead to consistent results under the new principles. Consequently, the only difference is the point of view, perspective, interpretation, measurement or philosophical methodology. Nevertheless, just as in the case of non-relativistic explanations of General Relativity’s predictions, due to their scientific relevance, the energy experiment Gigachron and some observations on gravitational waves are herein presented. In addition, we show the mathematical demonstration of how the Laws of Global Gravity perfectly explain natural phenomena of the light curve or gravitational lensing effect, and precession of Mercury’s orbit. There is also a non-relativistic explanation to the results of Gravity Probe B experiment, which includes both a denial of the Lense-Thirring effect of frame dragging of mass by a rotational gravitational field, and an alternative explanation to the observed effect. On the other hand, the Paradox of the last dolphin shows the difficulty of determining the Universal Gravitation Constant. In addition, it shows how a small gravitational variation depending on the energy of a system can help to determine its speed with respect to the Global Aether, a relevant aspect regarding the expansion of the universe and dark matter. Besides, here we can find different mathematical formulas and equations, which make possible to calculate redshift without the relativistic perspective on Pound-Rebka experiment on light energy variation. Finally, we also mention soundness of Global Physics with other natural phenomena in which gravitational processes intervene, such as Doppler effect on electromagnetic waves –light–, and cosmological redshift. In recent times, physicists have been looking for a unification of fundamental forces. Presumably, such unification will somehow entail the establishment of a new relation or connection between some elementary physical constants or physical equivalence relations between the units of involved magnitudes. Perhaps, this gravitational energy experiment has something to do with the film Raiders of the lost ark, even though it sounds more like a super space-time synchronization of gravity; so big that we will return to god Chrono’s absolute time, Euclid’s close friend, the one of the Greek space geometry. The Gravity Riddle is an intriguing element of which the books on Global Physics base. It was not only already enunciated in the first book of The Equation of Love but also its embarrassing answer that multiplication of most known physical constants would be equal to a most known physical variable. The equation of Global Physics [g = E c /G] deduces directly from the Law of the Gravitational Equivalence highlighted in Gigachron experiment. Therefore, this variable depends on the particular radio, which is not even constant throughout the entire Earth’s surface. As can be seen, the equality of Gigachron experiment connects gravity, energy and mass constants, involving a unification of related forces, that is, the foundations of a theory of everything regarding elastic properties of the global aether. In the mentioned book about physics and metaphysics, The Equation of Love, we comment some problems posed by several people. Even though these problems had a little logical foundation, they are useful to show natural human reactions to a proposal for structural changes of established scientific theories. To extend the same relation to the electromagnetic energy caused by other chemical elements. This first point is not a problem, bearing in mind different energy levels of Bohr’s atomic model, which remains valid regarding Rydberg constant RH. Balmer, Paschen, and Lyman series adjust different energy levels of the electrons with Rydberg constant –in said numerical series wavelength appears, but we know that it corresponds to the frequency and, consequently, with energy. Different gravity conditions to those of Earth’s surface. This second generalization is more intricate because it seemed that the original idea was to verify the equality of Gigachron experiment on the Moon or the Space Station to change gravity conditions, as discussed in the page about the Gravity Riddle included in the book The Equation of Love. Nevertheless, development of the book Global Mechanics lead us to a much closer solution. We are referring to gravity inside bodies or, instead, to gravity around the atomic nucleus. 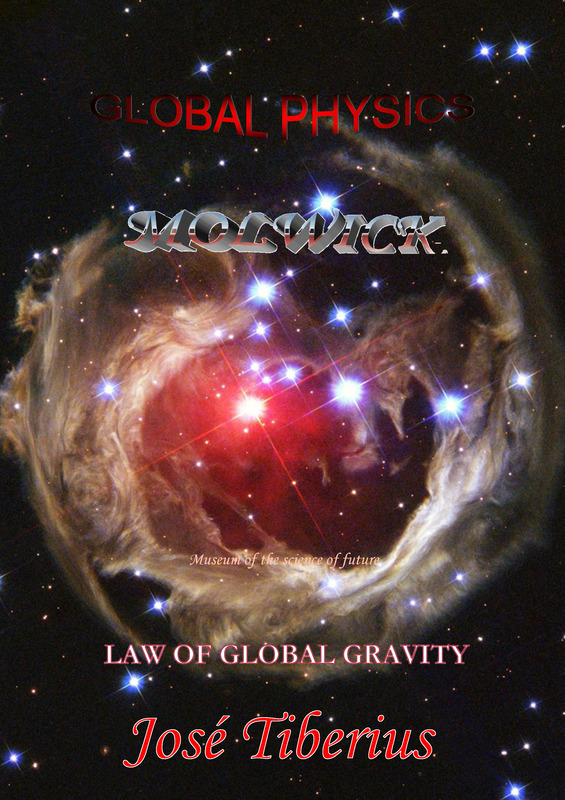 It may sound weird, but what changes is the gravitational constant G. Due to the complexity of this subject, which affects the unification of gravitational force with the rest of fundamental forces, it is necessary to refer to mentioned book Global Mechanics and its section about Gravity in the atomic distances. It would not be surprising that this adjustment would need a series of numbers similar to Balmer, Paschen, and Lyman. 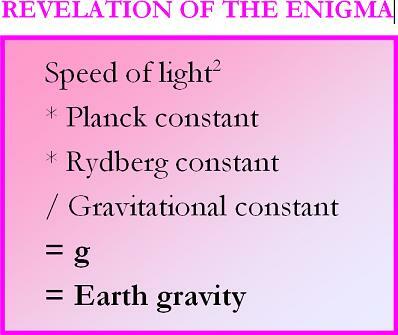 Series which may gather effect on variation of the speed of light *c*, discussed in the page Magnetic wave propagation and the variable speed of light about the turning point of gravitational constant G and, in general terms, of spatial localization of atomic configuration. From a practical point of view, let us remind that materials under microgravity conditions form with different properties. The interrelation entailed by the Gigachron experiment brings consistency to the Global Conservation Principle on which Global Physics bases.